Childhood Neuropsychiatric Disorders Initiatives (CNDI) in a project supported by Grand Challenges Canada (GCC) organized training workshops for Primary Health Care Workers and Tertiary Multi-disciplinary Professionals. 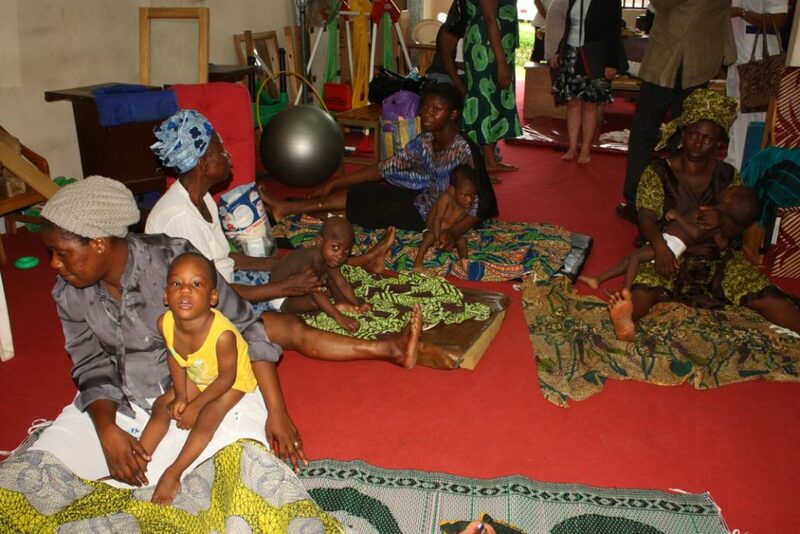 The venue of the training was the Child and Adolescent Centre of Federal Neuropsychiatric Hospital, Yaba, Lagos (Oshodi Annex). Resource Persons invited included Dr. Julian Eaton of CBM represented by Dr. Emeka Nwefoh who is the mental health advisor for CBM in Nigeria, Dr. Grace Ijarogbe who is a Consultant Psychiatrist in the Child and Adolescent Centre of Federal Neuropsychiatric Hospital, Lagos, Dr. Florence Tunde-Ayinmode, a Consultant Psychiatrist in the Department of Behavioral Sciences, University of Ilorin Teaching Hospital, Kwara State, Nigeria. 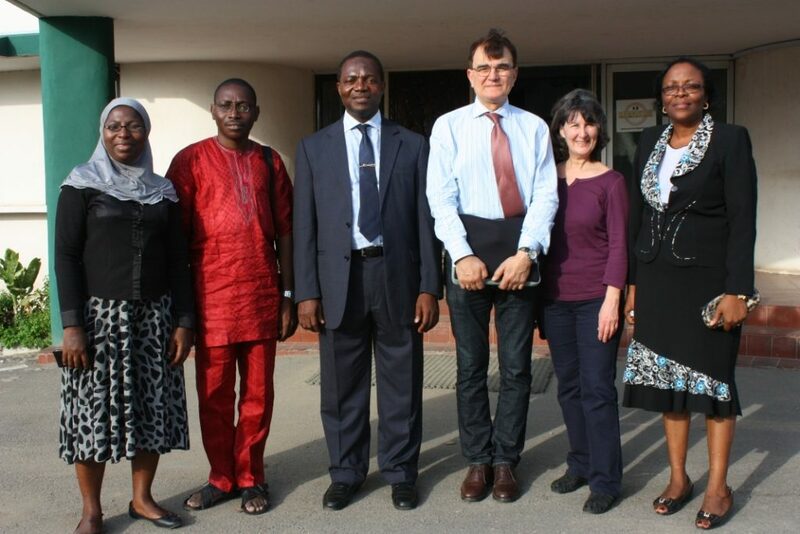 Dr. Muideen Bakare (PI) and Drs. 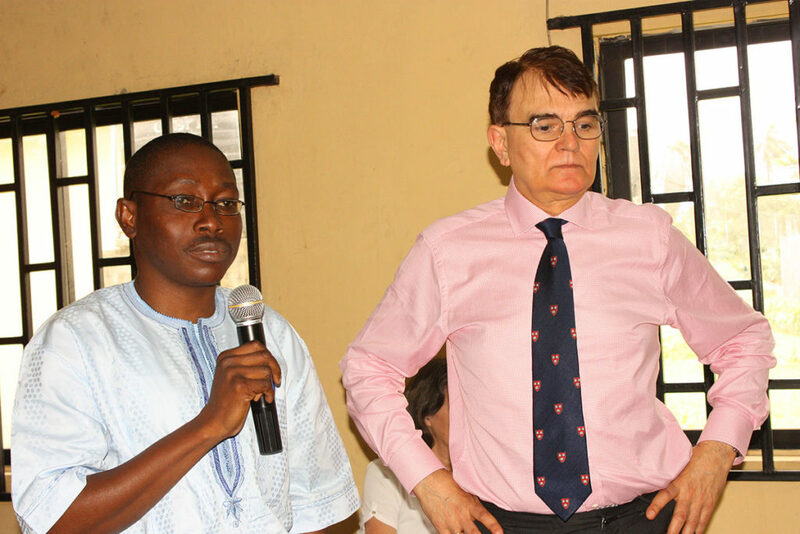 Mashudat Bello-Mojeed and Oluwayemi Ogun (Co-Investigators) also participated in providing additional resources. 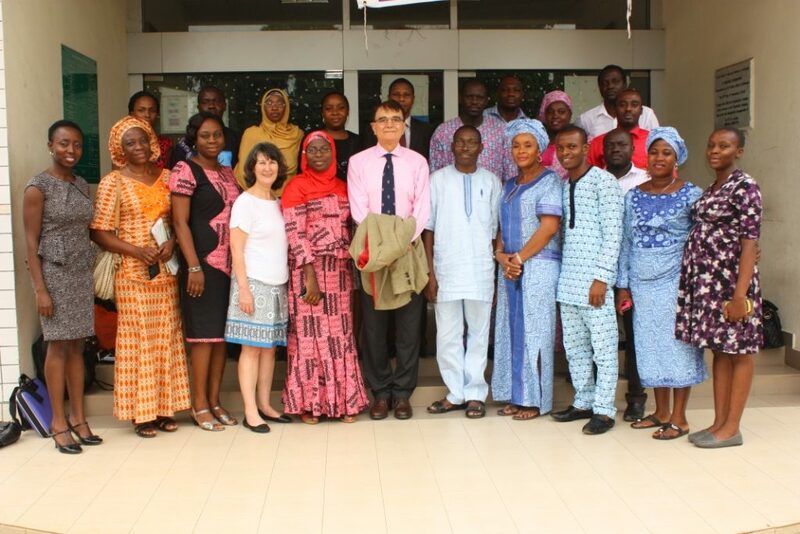 Dr. Kerim Munir and Ms. Beverley Gilligan of University Center for Excellence in Developmental Disabilities (UCEDD), Division of Developmental Medicine, Children’s Hospital and Harvard Medical School, Boston, MA, USA were invited to train Multidisciplinary Tertiary Care Professionals who will provide the tertiary healthcare services. The Primary Healthcare Workers acquired knowledge about Childhood Neurodevelopmental Disorders (NDD) and were trained in the use of screening tools to be employed during screening and surveillance. The tertiary multidisciplinary professionals acquired knowledge about evaluation and provision of interventions for children with NDD. A group photograph after a training workshop. The Principal Investigator and the Consultant from Boston Children Hospital, USA. 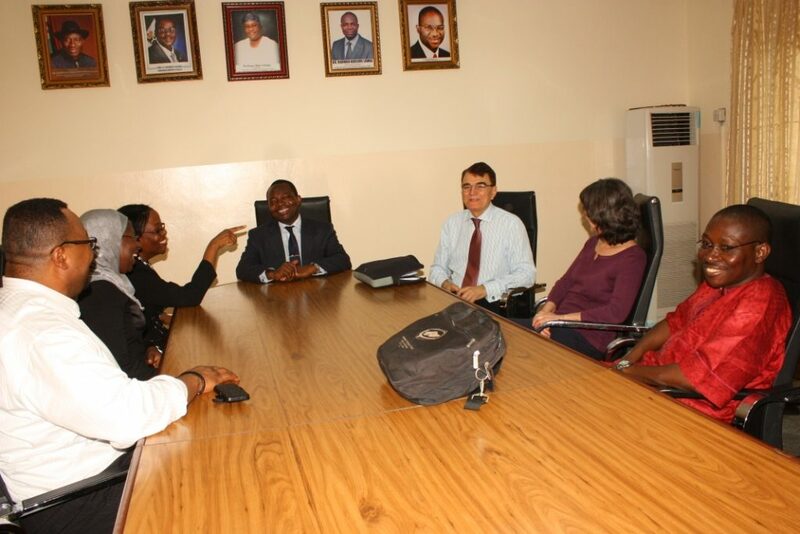 The meeting with the Medical Director of Federal Neuro-Psychiatry Hospital, Yaba, Lagos, Nigeria. After the meeting with the Medical Director of Federal Neuro-Psychiatry Hospital, Yaba, Lagos, Nigeria. Physical theraphy clinic for child and adolescent. 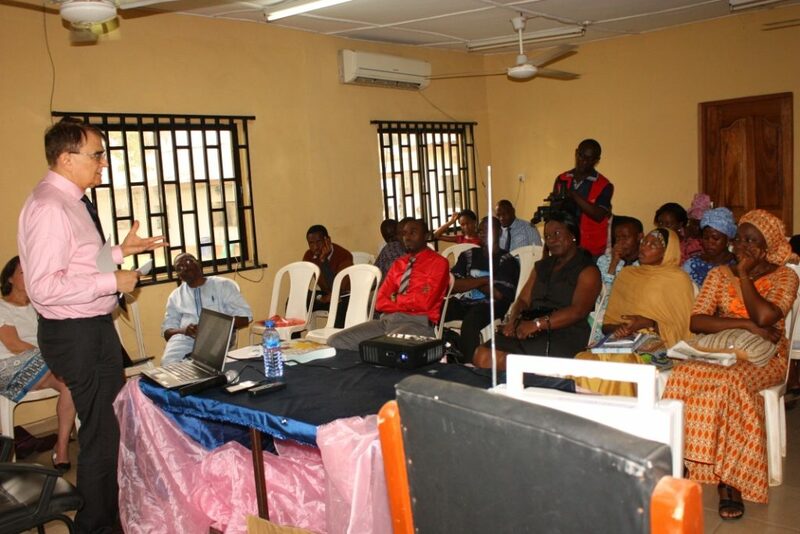 Training session for healthcare workers.